The Nursing Home Transition Program serves nursing home residents age 18 and older who have expressed a desire to transition safely back to the community with supportive services. 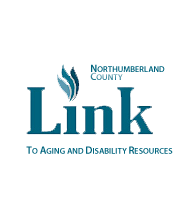 The Area Agency on Aging is responsible to assist participants age 60 and older and the North Central Center for Independent Living is responsible for assisting participants age 18 to 59. Activities of NHT include: assessing the needs and supports of the NHT participants, developing and recording the care plan for transition and the coordination of services to allow the participant to live independently in the community, monitoring of transition activities, providing information to the NHT participant about community resources, assistance in finding housing, assisting the participant in establishing a household, assisting the participant and family members in applying for qualified services (Medicaid, food stamps, home mods), coordinating with medical providers to obtain required documentation.